Home Costs > How Much Does Stucco Repair Cost? How Much Does Stucco Repair Cost? Stucco, even though it’s known as a long lasting option for your home, can occasionally become damaged due to weather, poor installation or even accidents, causing it to crack, chip and/or even warp. If you notice any repairs that need to be done, it should be completed as soon as possible to prevent the underlying wood from potential water damage. The cost of stucco repair will depend on the size of your project, the age of the existing stucco, the complexity of the job, where you live and who you hire. On average, be prepared to spend about $10 to $20 per medium sized crack. Aside from this, most contractors will also charge a minimum service charge that usually starts at $100 to $200. To break it down, a traditional stucco mix will cost about $10 a bag and another $20 for the finishing material, all depending on the thickness and the quality you prefer. To fix 10 to 20 medium-sized cracks, it will take, on average, about 20 bags of stucco, give or take, for a total of about $300 for just the materials or about $15 per crack. Again, this is just for the materials. As for labor, most local contractors, depending on where you live, can charge anywhere from $40 to $65 per hour, and most average jobs, again, depending on the size can take four to 10 hours to complete, bringing the total to $360 to $650 for just the labor charges. When we combine the two charges, the labor and materials, can cost about $660 to $950 to repair the average size home with 10 to 20 cracks. This estimate will apply to most chipped, cracked, stained and traditional stucco repair jobs. All jobs will be unique, and for that reason, it’s best to get multiple quotes to see what it may cost. We highly recommend using HomeAdvisor.com, a free tool that allows you to receive quotes from multiple licensed, reputable contractors in your area. Simply describe your quote and contractors will contact you with quotes with no obligation or credit card on your part. HomesInspection.com, on this pricing list, says it can cost about $8 to $14 per square foot, on average, to repair stucco. 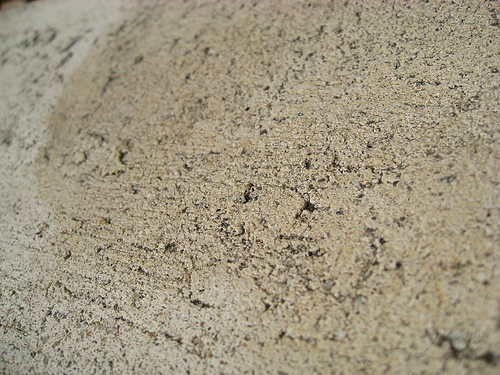 Most contractors, when repairing, will use either a traditional stucco, which is made from sand, cement, lime, and water or an acrylic stucco, which comes from a wet mix that can offer different texture finishes. Since an acrylic stucco, commonly referred to as a synthetic stucco, is much harder to work with and the materials cost more, your contractor could charge up to five times more. Matching paint for the surface will be needed and may be an additional charge, depending on the contractor’s billing policy. Since stucco won’t be painted when added, it may blend in, but you will still be able to notice it from a distance. For that reason, you may want to budget for another $200 to $450 to paint the newly repaired surfaces. Homes with more than one story or a uniquely shaped design could involve more labor costs, effectively increasing the costs by more than 20 percent. In some scenarios, the cracks on the surface may be due to an underlying issue such as a setting home. If an underlying issue needs to be resolved to prevent the cracks from performing the future, then these repairs, depending on the complexity, could cost well into the thousands. While it may be tempting to do the repair on your own, you may want to call in the professionals if the crack is larger than an inch and/or is in a hard-to-reach area such as a window, doorway or gable. As with any repair, always try your best to get at least three to five quotes from reputable contractors in your area. General contractors, painters and handyman services can all perform the repairs. When choosing, don’t just focus on the price; rather, be sure to look at their reviews, past work and licensing. Stucco repair kits exist online and are designed for hairline cracks and almost anyone can use the kit as long as you follow the directions. Consider the repairs yourself before hiring a contractor to see if you can save a few hundred dollars. On Amazon.com, for instance, small patch kits can retail for less than $15 and are designed for those who have minor repairs to be performed. This helpful TheStuccoGuy.com guide , for instance, shows you how simple repairs can be performed.